As you are already aware, we’ve been watching and drinking along to Shadowhunters on Freeform Network these past few weeks. We haven’t been wowed with the writing, the pacing, the script or the CGI, so we’ve mostly been tuning in so that we can drink together. Let’s explore Episode #3 to see if this show can redeem itself. In this episode, they establish #SquadGoals. 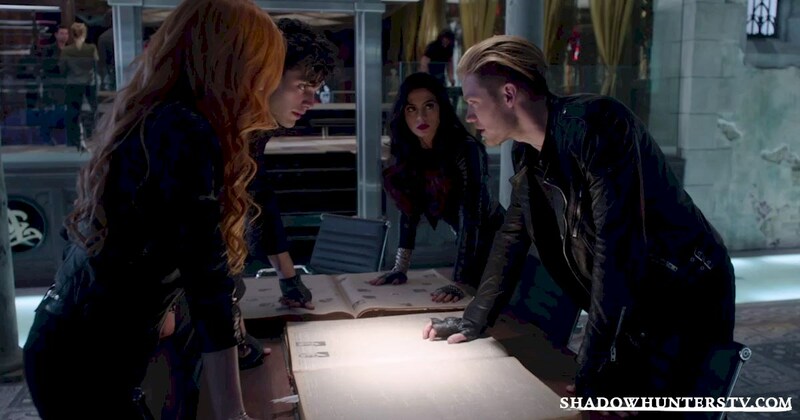 Clary, Jace, Alec and Isabella are firmly established as team. 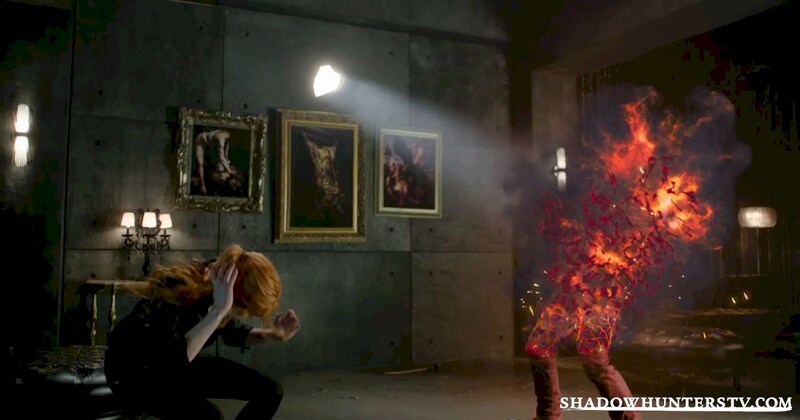 They begin setting up the tension with Clary and Jace. But maybe it’s just the Seraph blade blinding me, but I just don’t see the chemistry between these two. At all. So I’ll just be distracted by the action and the CGI. But I had to sit through a scene where the main characters did not move their feet once while slaying a half dozen vampires. And exploding vampires looked like this. My little niece could come up with better CGI. So maybe there are other elements of the story I’ll like? But I can’t stand behind women using their bodies for information. And don’t even get me started on Memory Demons. OK. I give up. The plot and themes aren’t getting me anywhere. So, where the hell is Simon? 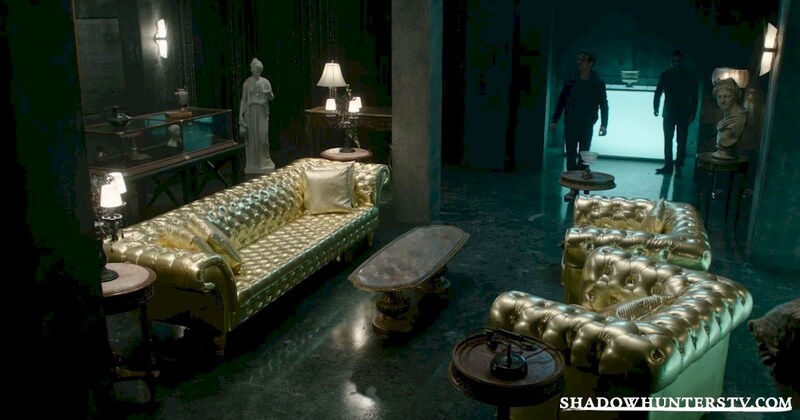 Well, he’s hanging with the vampires at Hotel Dumort. Vampires are immortal, right? They don’t sleep, right? There has to be some down time between feeding and living, times thousands of years, that leaves plenty of time for study of new subjects, right? So these immortal creatures with seemingly endless time to themselves can’t properly decorate the interior of Hotel DuMort? Sigh. So, what’s left for us to tune in for? 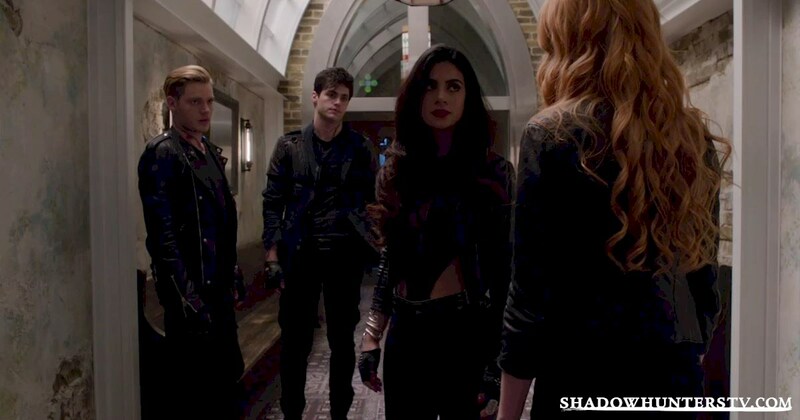 We can expect for Alec to still judging us. 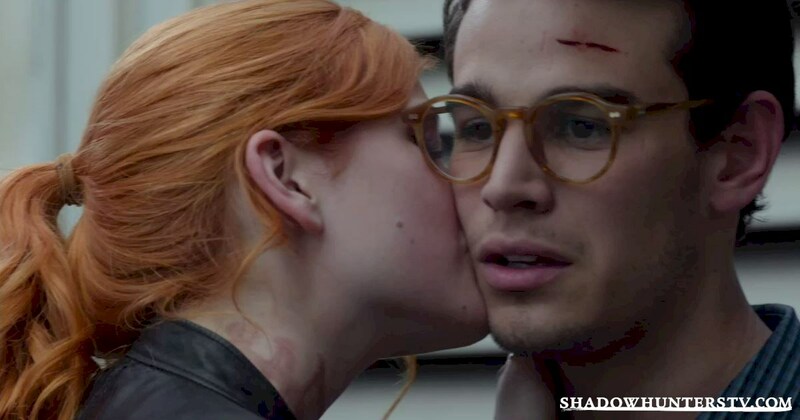 And since Simon is safe from the vampires, we can firmly have our hearts broken by Clary friendzoning him. So, we’ll give it another shot, but mostly we plan on taking shots next Tuesday night at 9:00pm EST. Feel free to join us on Twitter and hashtag #YAWDrinking to get in on the conversation. Cheers! I agree with your assessment 100%. I will keep watching in hopes it gets better because I really really want them to do justice to the books that the movie didn’t do… But I’m not sure how much longer I can last. The script writing and over-acting are driving me NUTS and pretty much *everything about Izzy gets on my nerves. Having a gorgeous cast won’t keep the show going& fingers crossed they realize that soon. Though, I will admit, even with all that I still really loved the interaction between Magnus & Alec; it was hilarious. Sarah, after last night’s episode (review up tomorrow), we’re just not sure about this show. We’ve given it more than enough chances and between the bad acting and nonsensical script, it’s actually tough to watch. You’re right, though, Alec and Magnus were fun to watch and will probably have us tuning in next week.